The Toyota Camry Hybrid XLE's fuel economy isn't quite as high as the Hybrid LE model. The 2014 Toyota Camry may not be as attractive as some of its competitors, but it's now more than ever the most sensible choice for shoppers focused on value, frugality and comfort above all else. The Toyota Camry has been the best-selling passenger car in America for a few years. It's not the first sedan we recommend, though. It's had a reputation for being a pragmatic and safe choice that remains, but it's never been very exciting or handsome, and in the past year it's lost some of the default recommendations for reliability it once enjoyed. It's not a stand-out in any one thing, from technology or style, to performance or comfort. That's not the say the Camry isn't perfectly acceptable in most regards, and even quite good in others--just that it's not better than some of the competition in most respects. It's also easy to dress up the Camry with more personality than you might be familiar with--by way of a V-6 engine, a sport suspension, and premium features--so it's not quite so relentlessly straight-laced. The Toyota Camry was new in 2012, yet what arrived was merely evolutionary from a styling standpoint. Instead of trying to make the new car radically different, Toyota essentially took a look at the existing car and asked how it could redesign nearly every component to make a better end result for core values like comfort and safety. What it ended up with, for better or worse, was a car that looked very much like the outgoing version, but with a more upright front end, a few more creases, boxier corners, and a slightly different roofline. Inside, there's more to be said, as the Camry not only gets better materials and detailing throughout, but its new dual-tier instrument panel and corners that are pushed outward—in a sort of anti-cockpit layout—help amplify interior space. Toyota reclaimed one of the top spots among mid-size sedans, with ten standard airbags plus top overall ratings from both U.S. safety agencies. Bluetooth connectivity is included in all trims—even the base model—and the screen-based Display Audio system, with Bluetooth audio streaming, USB connectivity, and iPod connectivity, is now included even in the base Camry L. A navigation system with voice recognition is also available, as is a high-end JBL sound system, with HD Radio and satellite radio. And through Toyota's advanced Entune system—also available—you can tap into Pandora streaming audio through your smartphone, as well as a suite of connected services. 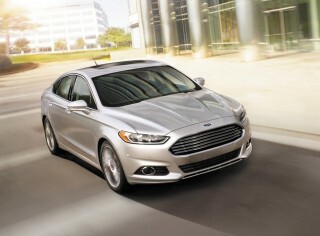 For 2014, the SE Sport trim–essentially a value package–has been brought back for the four-cylinder model. 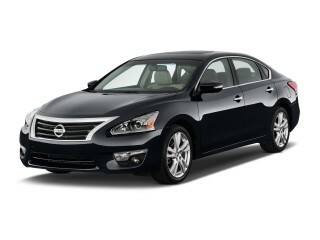 It comes standard with the 18-inch wheels, power driver's seat and moonroof. Overall, the Camry rides and drives in a more refined, responsive way compared to any Camry you test-drove a few years ago, and the package and features have been much improved. Push the Camry hard into a corner and there's still a fair amount of body lean, as well as lots of roll; what has changed is that it deals with recoveries and transitions a bit better. 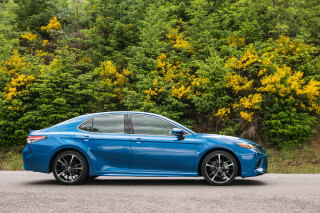 Thanks to some very significant weight savings, the base four-cylinder Camry performs better than ever, while the V-6 fills a niche for those wanting a particularly strong, refined (yet still budget-priced) sedan. The Camry's interior is one of its strong points. Thanks to a thinner front-seat design and new packaging, there's noticeably more back-seat space in these latest versions. Ride comfort is impressive, and trunk space is improved due to the boxier corners. Base front seats are a little disappointing, though, and we highly recommend the sporty SE model, in part, for its much better-bolstered seats. Just like the previous-generation Camry, the Hybrid version feels about as quick as the base four—possibly a little more so when you tap into full electric-motor boost. And the mileage improvement is phenomenal: 43 mpg city, 39 highway for the LE. Hybrids now come in LE or XLE models, and as before they give up a little trunk space (not as much now though, due to a smaller battery pack). The latest Camry earns top 'good' ratings from the Insurance Institute for Highway Safety (IIHS), and the Institute's Top Safety Pick accolade; but it should be noted that in the latest test from the IIHS, the small-overlap frontal test, the Camry scored 'poor' (while the Honda Accord, for instance, earned a top 'good'). The Camry is a five-star vehicle overall in federal testing—although it's earned four out of five stars for frontal impact, its excellent five-star side result made the difference. The Camry doesn't belong in any museum, but it's perfectly reasonable. Toyota gave the Camry a complete makeover in 2012, but in this case, it skewed on the conservative side of the spectrum. In fact, if you're not in tune with the subtle exterior changes that came in new models, you might not be able to tell the current generation Camry from the previous one. Subtlety isn't a bad thing here, though, but one of the Camry's strong suits. The Camry maintained the same dimensions as the previous model, save for a few tweaks to the roofline and greenhouse. While it might be a stretch to call this car a "looker," what's immediately noticeable is its priorities on practicality and comfort over flowing form or characterful sheetmetal. Compared to many of the more curvaceous alternatives in the mid-size sedan segment, the Camry looks a little more angular, a little more upright. It wears sharper corners than the previous model, giving it a little more curve appeal and a lot more points for style. Plus, there's added value for the trunk, which gains a little space thanks to the missing curves. Toyota called this current Camry's design theme "Rational Tech-Dynamism," which "aims for a rational and advanced style with sporty exterior and a modern, luxurious interior." Like most new models, the Camry gets a multi-layered dash appearance; Toyota says that the layered, stitched-leather look of the instrument panel was modeled after saddles, media players like the iPod played a role in the layout and tactile logic of the center gauge cluster as well as the audio and climate controls. For the most part, Toyota holds true on that design promise inside. Thankfully, they replaced the former interior that we saw as a 'Corolla-plus' layout with one that draws from those models higher up the Toyota pecking order—looking influenced in part by Lexus sedans, accented with some of the dash details from Toyota's newest SUVs, like the new 4Runner. Yet oddly, we see the slightly larger 2013 Toyota Avalon as having taken off in an entirely different direction—one that we like better than the Camry's. Within the Camry lineup, you'll find a few key appearance differences, and they're significant enough to affect your aesthetic appreciation. Sporty SE models get a split, winged air dam that we saw at times as Subaru-influenced; but XLE and hybrid trims come with a more wide-open (but louvered) air dam (with XLEs getting a little extra chrome in the upper grille). 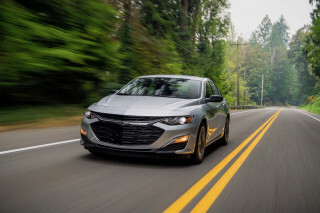 To sum, the Camry doesn't push any boundaries; in fact, next to the Chevrolet Malibu it's now looking like the most conservative entry in its class, despite being one of the most recently updated. To some, it's a snooze, but we think it's refreshingly different for bucking a trend and taking function (and rear headroom and trunk space) over form. A light feel to the controls and safe, predictable handling are the Camry's performance hallmarks. The 2014 Toyota Camry drives in much the same fashion as it looks–a little conservative, a little reserved, but comfortable in a way that will please the masses. That's not to say that the entire Camry lineup is a yawn to drive, though; there's at least one hidden gem that looks and feels a little sportier. Hybrid models were refocused in 2012 with the redesign, and they're now both better-performing and more frugal—and offered in LE and XLE trims. They get an Atkinson-cycle version of the four, making 156 hp and 156 lb-ft, with output being 200 horsepower altogether. Mileage is phenomenal—43 mpg city, 39 highway for the LE, or 41/38 for the XLE (because of different tires and more weight) and now the Camry Hybrid feels about as quick as the base four—possibly al little more so when you tap into full electric-motor boost. Some mid-size models like the Ford Fusion, Hyundai Sonata, or Kia Optima have moved to all four-cylinder lineups, but the Camry sticks to its tried-and-true formula of offering either four-cylinder or V-6 engines. The base 178-horsepower, 2.5-liter four-cylinder engine is uncharacteristically smooth in the way it starts and idles; though you can hear a hint of coarseness if you push it hard. It's clear this is no premium powertrain, but it provides plenty of power for most needs. Opt for the 268-hp, 3.5-liter V-6 and you get a completely different, luxury-car personality, with lots of refined punch no matter what the speed. 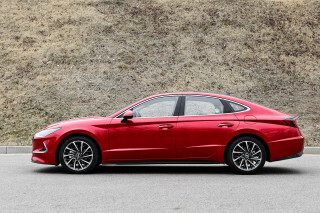 In either case, the six-speed automatic transmission shifts unobtrusively and doesn't balk to downshift.In general, we like the base model's lighter front end and more balanced feel. There is a way to add more fun though: Get the sporty SE model, and its stiffer springs, rebound springs, solid stabilizer bars, and exclusive steering knuckles and lower arms. Altogether, the package makes the Camry more responsive without riding all that harsher on most surfaces. And you get downshift rev-matching and steering-wheel paddle-shifters that help heighten the experience when it counts. Push the Camry hard into a corner and there's still a fair amount of body lean, as well as lots of roll; what has changed is that it deals with recoveries and transitions a bit better; combined with a reconfigured electric power steering system the net effect is that it's a bit more nimble—particularly in four-cylinder form. Spacious and quiet, the Camry doesn't offer much in the way of complaints, but we'd get the optional sport seats. The Camry remains one of the smoothest, most comfortable rides in the segment, and the current models feels a little more upscale and luxurious than past versions. From the front seats, the Camry feels more spacious than many of its competitors and their cockpit-influenced interiors. The dash is pushed forward and the corners outward, making the cabin feel more open and less cramped. Perception and reality sync in this case, where the interior's useful space has increased thanks to thinned pillars and reshaped door panels–subtle changes, but generous ones. Taller adults will appreciate the rear legroom in the 2014 Camry, too. The center console and front seatbacks were redesigned to created extra space for longer legs, and while three adults may feel a little cramped back there, that stems mostly from the lack of shoulder space. The sporty SE model rides a bit harsher, but it's worth it for the better seats you get; they're more aggressively contoured—helping both to reduce fatigue and hold you in place in corners—and noticeably better than the spongy, flat ones you get in the most affordable Camry models. Rear seatbacks don't quite fold all the way flat in the Camry, and the trunk opening may make loading long objects from IKEA or Home Depot a little challenging. That's probably not the intended purpose of the trunk, though, and there's plenty of space for large suitcases or a big family's grocery run. Also of note is that Camry Hybrid models no longer sacrifice rear seating comfort or trunk space; the battery pack has become smaller and lighter compared to the previous model—although you'll still give up some trunk space compared to the other models. The 2014 Toyota Camry is surprisingly quiet and well isolated from road and engine noise, thanks in part to added sound insulation and more layers of metal at the firewall. Trims, materials, and fine details are no longer on the chintzy side, as they have been for Camry's past; they're a little traditional looking, yet upscale. And it feels that extra attention has been paid to what's close at hand—for instance, in the chunky multi-function controllers on either side of the steering wheel, positioned right where your thumbs can be. Very good crash-test scores have one blemish, a "poor" result on the upcoming IIHS small-overlap test. Crash test scores have improved following the Camry's redesign in 2012. 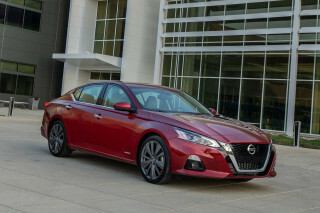 Neither of the two U.S. organizations that crash-test vehicle have tested the 2014 model yet, but it goes mostly unchanged for this model year, and the 2013 received mostly high ratings. Lighter yet stronger than the previous model, the Camry packs more safety features than ever, like a class-leading ten standard airbags, including new front passenger knee bags and rear side airbags for outboard occupants. A rear-view camera system is offered in some models, and an optional blind-spot monitoring system is now paired with Rear Cross Traffic Alert—with availability extended to the Camry SE. Separately, on all models, one tap of the turn-signal stalk now initiates three blinks of the lamps. The latest Camry earns top 'good' ratings from the Insurance Institute for Highway Safety (IIHS), and the Institute's Top Safety Pick accolade; but it should be noted that in the latest test from the IIHS, the small-overlap frontal test, the Camry scored 'poor' (while the Honda Accord, for instance, earned a top 'good'). From the federal government, the Camry is a five-star vehicle overall—although it's earned four out of five stars for frontal impact, its excellent five-star side result made the difference. The base Camry is still a strong value, even compared to the standout Korean sedans in its class. 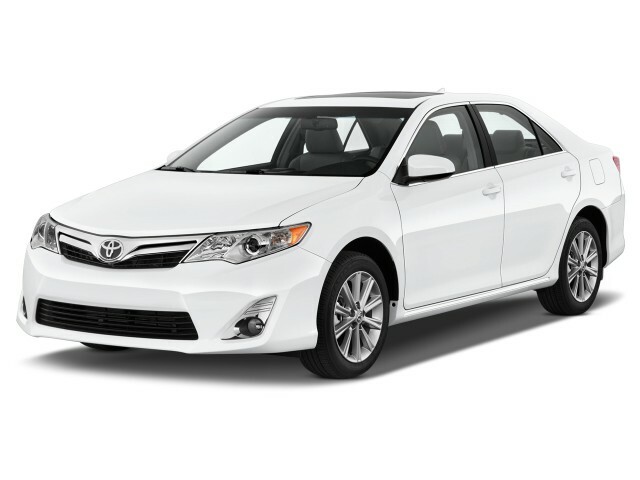 Mid-size sedans like the 2014 Toyota Camry range from economical and basic to high-tech and nearly luxurious, and the Camry competes well across the board with everything you'd expect for the price, plus a few extras in each trim. 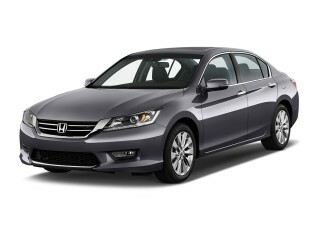 Four trim levels are offered: mainstream LE, sporty SE, and luxurious XLE. There's also a limited-availability, base L model that you're more likely to see in rental-car fleets than on the new-car lot. Each trim receives different upholstery and trim combinations; L and LE come with fabric seats and silver trim; SE models get synthetic leather and silver-grain trim; XLE models have leather and faux-woodgrain, a Hybrid models come with "Metallic Tech" silver grain and in XLE Hybrid (or available on the SE) a leather-trimmed ultrasuede. 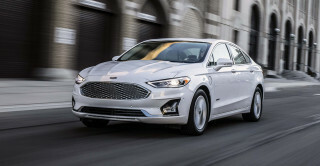 SE models also also get sport seats, 17-inch (four-cylinder) or 18-inch (V-6) alloy wheels, a special three-spoke leather-trimmed steering wheel and, perhaps most importantly, a Sport mode with downshift rev-matching for the transmission, along with steering-wheel paddle shifters. Hybrid shoppers have a choice of two 2014 Toyota Camry Hybrid LE models, which include dual-zone climate control, a Smart Key system, and Optitron meters, while the new Hybrid XLE comes with all the goodies that the V-6 XLE includes. Bluetooth connectivity is included in all trims—even the base model—and the screen-based Display Audio system, with Bluetooth audio streaming, USB connectivity, and iPod connectivity, is now included even in the base Camry L. A navigation system with voice recognition is also available, as is a high-end JBL sound system, with HD Radio and satellite radio. Toyota's advanced Entune system is also available, bringing a suite of connected services, including access to Pandora streaming audio, for example. Hybrids and four-cylinders are excellent gas-sippers, but V-6 Camrys are nothing special. Fuel economy has become a higher priority for mainstream shoppers today, and the Camry's engines range from fast and thirsty to smart and frugal. Last year brought a number of changes to the other four-cylinder and V-6 models (lighter weight, earlier torque-converter lockup) aimed at mileage improvements, and ratings went up to 25/35 mpg for four-cylinder models and 21/30 mpg for the V-6. 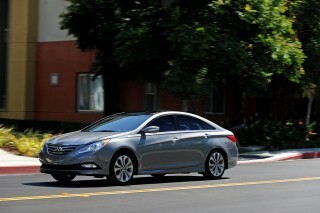 The Hybrid is the leader in the lineup with its astounding 43 mpg city, 39 highway, according to the EPA. The latest Camry Hybrid includes a readout for real-time gas mileage, as well as a power-flow display. And as in the Prius, Toyota has added EV Mode and Eco Mode to the Camry Hybrid. Under some situations, given proper charge, the lack of steep hills, and light throttle application, the Camry Hybrid can go about a half-mile or more on electricity alone. The 2015 is just a touch better in all the right places yet the 2014.5 is great! Excellent mpg for such a large car. My only complaint is gas mileage but that's probably my fault. I bought the V-6 model and most of my driving is around town so gas mileage is only around 21 MPG. Looking for a different year of the Toyota Camry?